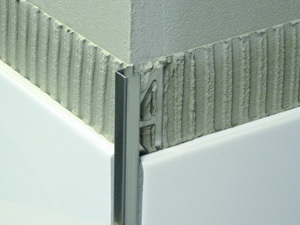 Need to reinforce your substrate but don’t have room to add 2nd layer of plywood? 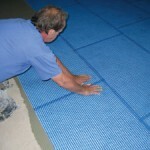 Install “best-in-class” 1/8” thick Blanke PERMAT underlayment! 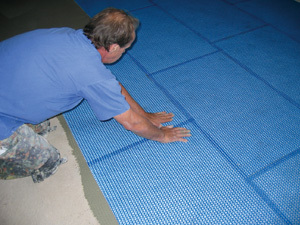 The Blanke PERMAT is an innovative uncoupling underlayment that offers all the labor saving benefits of the old plastic roll systems. 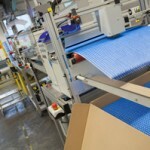 The Blanke PERMAT also adds support to wood substrates thereby reducing deflection and provides greater compression and tensile strength than plastic roll products. 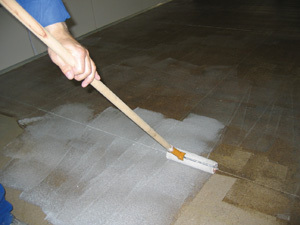 The Blanke PERMAT is stable to walk on during installation and does not require additional curing time when installing porcelain with latex modified thinset. 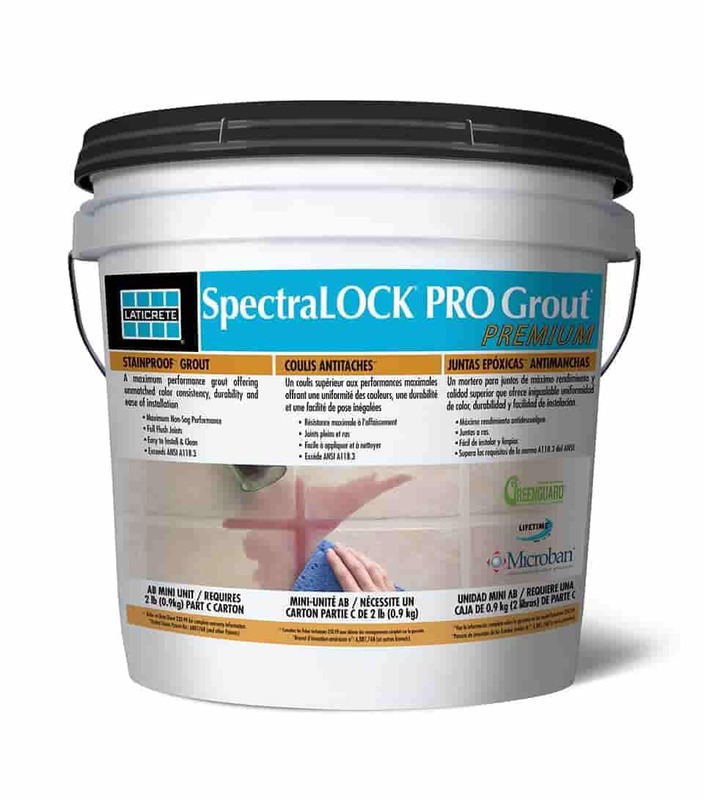 For stone tile installations, Blanke PERMAT offers amazing crack isolation protection, superior compression and tensile strength. 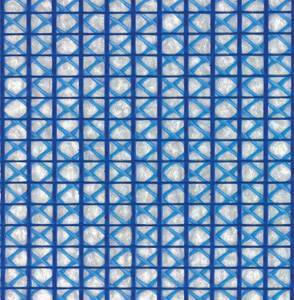 The Blanke PERMAT reinforced mesh panel design adds major support to wood subfloors, greatly reducing vertical subfloor movement (deflection). 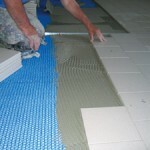 And in many cases, using Blanke PERMAT actually replaces the need for a second layer of plywood to reinforce a floor to be tiled with stone! 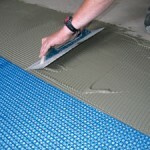 That means there is no significant increase in the height of the stone installation if Blanke PERMAT is used! 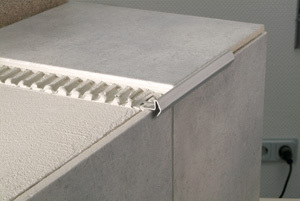 Blanke PERMAT has a 10-year warranty against damage caused by excessive vertical subfloor movement (deflection), the only such warranty in the industry. 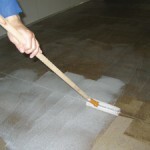 Whether installing stone on wood or cement subfloors, homeowners who include Blanke PERMAT in their stone tile installations can rest assured their subfloors will indeed support the installation. 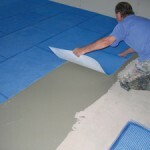 Blanke PERMAT is an ideal alternative to backerboard underlayment used in interior residential applications over wood substrates where excess deflection may be an issue and in commercial applications on concrete where stress cracks can be a problem. 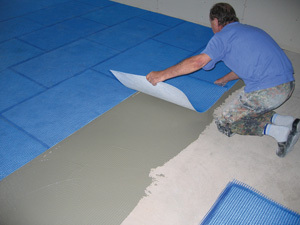 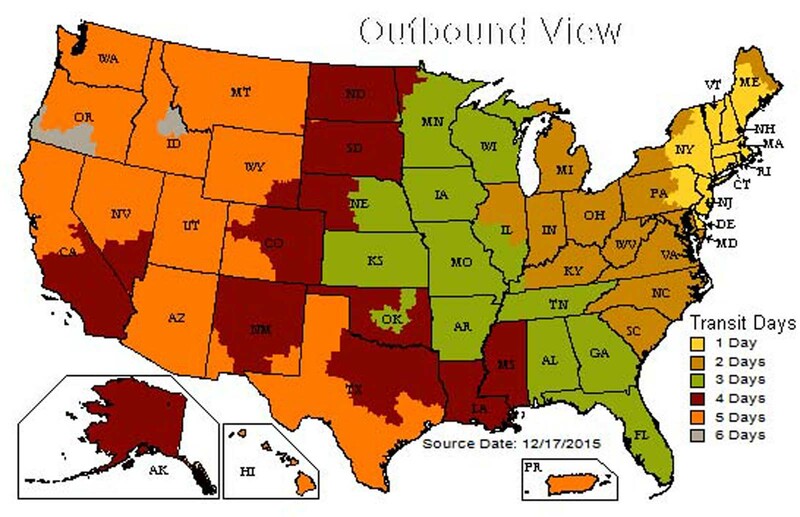 Blanke PERMAT is ideally suited for new home construction where demanding installation schedules cause traffic to cross on the underlayment prior to tile installation and where speed of installation is a primary consideration. 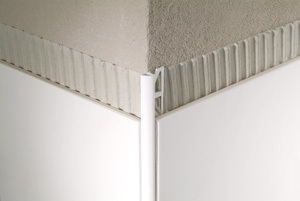 Blanke PERMAT offers superior point load support for the most comprehensive commercial tile installations… up to 95 % higher than standard roll uncoupling products! 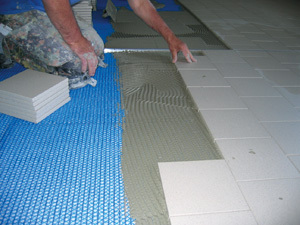 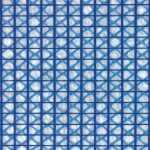 The ideal underlayment for commercial applications such as auto showrooms, all types of retail construction, hospitality and healthcare projects, Blanke PERMAT is even suitable for tiles smaller than 2” x 2”. 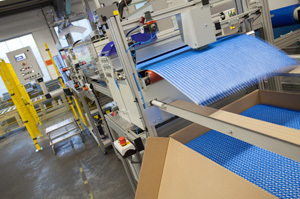 For commercial projects, Blanke PERMAT offers 50 % higher compressive strength than standard roll uncoupling products… and 7 x higher shear strength. 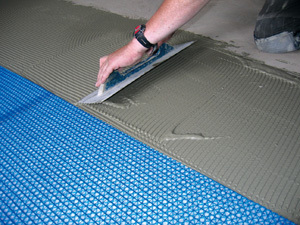 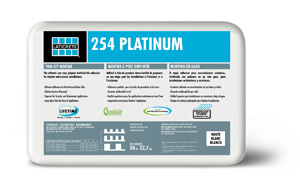 Easy to install, Blanke PERMAT is extremely tolerant of unwelcome traffic prior to the actual tile installation, and is less sensitive to thinset cure times. 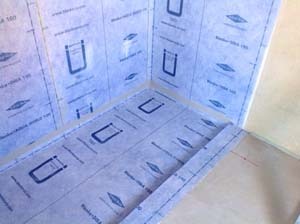 Modified thinset (A118.4) is recommended when installing porcelain tile over Blanke PERMAT. 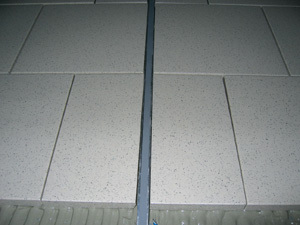 Achieved Heavy Industrial usage/durability rating in Robinson Floor Test (porcelain tile on ¾” plywood and 24”o.c. 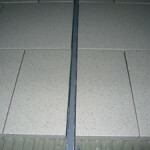 spaced joists).